The new Skoda Kamiq SUV is the third model in the company's new SUV line up after the Skoda Kodiaq and Karoq. Skoda has finally pulled the wraps off its all-new compact SUV, the Skoda Kamiq, ahead of its official debut at the upcoming Geneva Motor Show 2019. The new SUV from the Czech carmaker is the third model in the company's new SUV line up after the Skoda Kodiaq and Karoq. In fact, like the latter two, the name Kamiq also has an origin story, which is derived from the language of the Inuit people who live in northern Canada and Greenland and it means something "that fits perfectly." 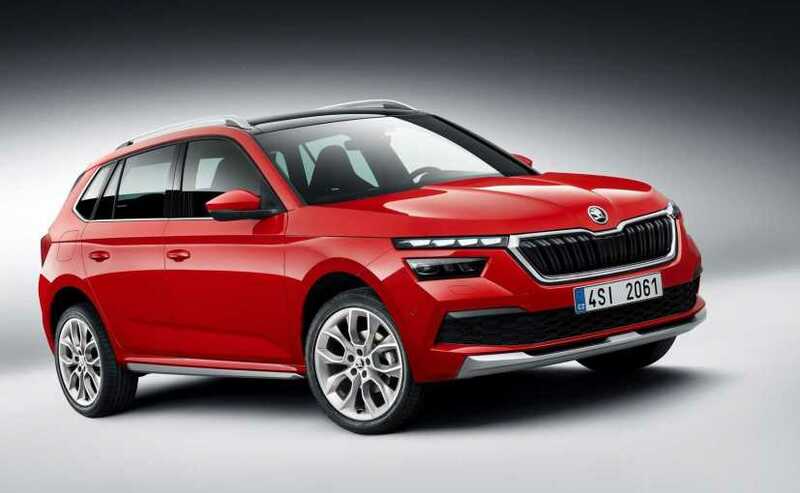 In fact, Skoda is positioning it as an ideal city SUV, a combination of high ground clearance and seating comfort with the agility of a compact car. Introducing the new Skoda Kamiq, Bernhard Maier, CEO, Skoda Auto said, "As our first city SUV, the Skoda Kamiq will captivate new customer groups for the Skoda brand and it is, therefore, an important component of our model campaign. The Skoda Kamiq offers an attractive overall package and combines SUV-typical characteristics such as the elevated seat position and a good view of the road with agile handling, an emotive design, a high level of safety and state-of-the-art connectivity. 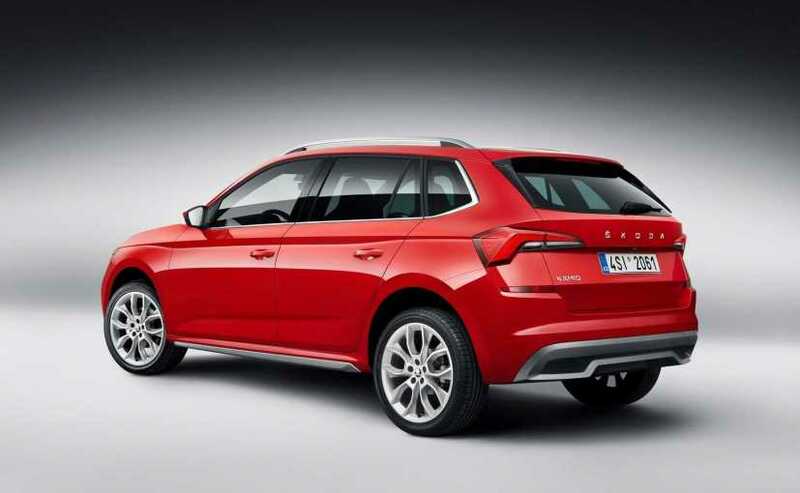 Furthermore, its generous amount of space and many Simply Clever features make it a real Skoda." 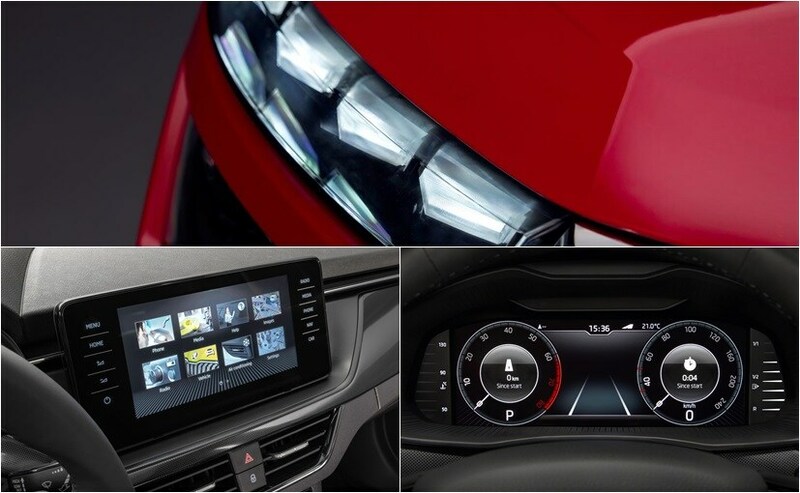 Visually, the new Kamiq comes with a fresh looking face by Skoda's standards with a new set of twin headlamps, feature LED headlamps with separate units LED daytime running lamps, which are positioned above the headlights. The DRLs are flanked by the new front grille which gets the familiar twin vertical slats with chrome surrounds, and the bumper, housing a large central airdam, features sharp muscular lines. The car also gets a chunky silver bumper lip that adds to its sportiness. This particular model is specially designed for the European market and is based on the modular transverse matrix (MQB) platform. From the profile, the SUV looks well-proportioned and offers the option to choose from a set for 16- to 18-inch alloy wheels. The SUV also comes with large roof rails and sharp-looking ORVMs, while the roofline and high ground clearance also add to the SUV bold stance. The rear section comes with a new look featuring a set of sharp LED taillamps with the Skoda logo at the centre, the tailgate comes with that chiselled look and a muscular bumper with a large silver insert that acts as a skid plate. The SUV measures a good 4,241 mm long, 1,793 mm wide, and has a height of 1,531 mm, and gets a wheelbase of 2,651 mm. This essentially means that the rear passengers will get 73 mm of knee room. The boot has a capacity of 400-litre, which increases to 1,395-litre when the rear seats are folded down. While we have already got a sneak peek of the cabin, these official images give us a much better view of the interior. The centre stage is taken by a 9.2-inch stick out touchscreen display for infotainment, while you also get a 10.25-inch display for the optional Virtual Cockpit. The SUV also gets sporty bucket-style front seats, and 60:40 split for the rear seats. Safety features include - lane keeping assist, adaptive cruise control, and automatic emergency braking on the list. The car also gets an optional driver alert fatigue detection system. The Kamiq comes with multiple engine options - 1.0-litre TSI three-cylinder engine that makes 94 bhp and 175 Nm torque, and a more powerful version that makes 113 bhp and 200 Nm torque. The former comes with a 5-speed manual gearbox, while the latter gets a 6-speed manual and an optional 7-speed DSG automatic gearbox. Skoda also offers a 1.5-litre TSI engine that makes 148 bhp and 250 Nm of peak torque, along with a 1.6-litre TDI diesel engine that makes 113 bhp and 250 Nm of peak torque, and both get the option of a 6-speed manual and a 7-speed DSG automatic.